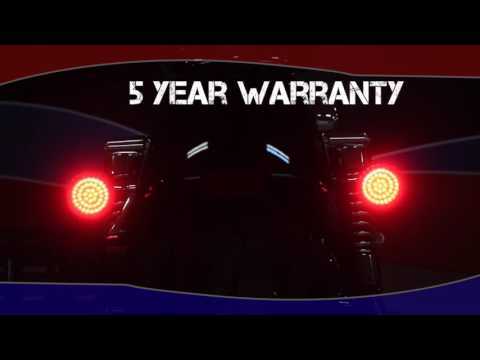 Plug and play installation on 2008-2016 Can-Am Spyder® GS, RS, RSS, ST, STS, and ST-Limited models applies brake flash/strobe patterns to stock OEM brake lights. Use in conjunction with Custom Dynamics® Center Taillight for Can-Am Spyder® to add even greater visibility to the rear. Riders can easily select from 10 Flash/Strobe Patterns by simply spinning the dial on the Magic Strobes Brake Light Flasher™ module. This unit has a sleek design and compact dimensions: 2.25" x 1.25" x 0.5". Sealed, weather tight case. Over current and reverse wiring protection. Thermal and short circuit protection.